Finally, Angel gets his origin told in the back pages of issues 54-56. This is the origin story that I was most excited to read. I might not have mentioned this before, but Angel has always been one of my favorite X-Men. He is my favorite original team member. 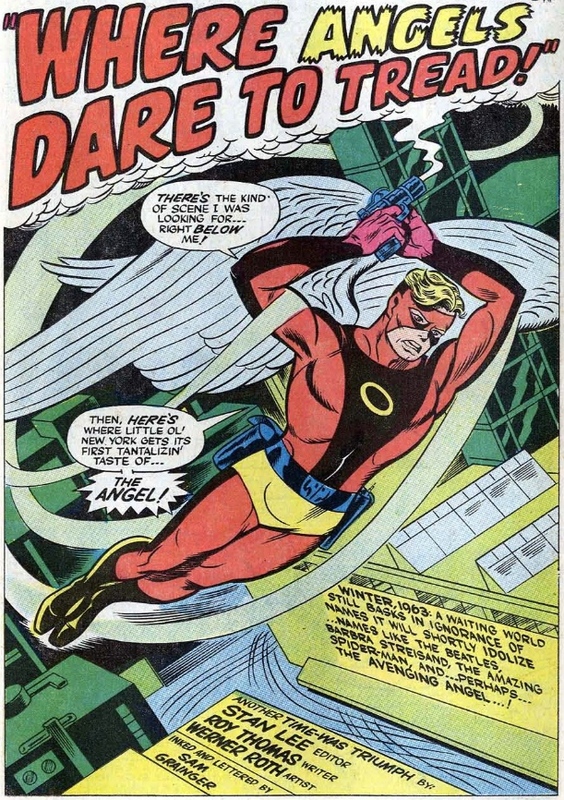 Warren Worthington III is a very tortured soul, suffering from deep seated body image issues that Ben Grimm and Curt Connors might understand. His origin stands out from the others in that he became a superhero completely on his own, fighting crime and busting crooks before the Professor ever discovered him. Warren even had an original costume that we’ve never seen before. Uncanny Ed likes Horror movies, Nintendo, and Pepperoni Pizza. You can follow him on twitter @meboisv. Astonishing Dave likes Gainax, World of Warcraft and Natural Ice. You can follow him on twitter @H2Olizard. Dave also has a tumblr and a few other projects. More info about what comics we're reading and what we're doing here can be found in the mission and management sections. This blog can also be followed on Twitter @uncannyed.